Boyce Precision Engineering is in receipt of a £606,000 Selective Financial Assistance – Capital Grant support from Invest NI. 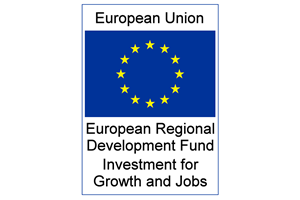 This project which is part financed by the European Regional Development Fund under the investment for Growth and Jobs Programme 2014-2020 aims to enable the company to expand through the building of a new 18,000 sq. ft. purpose-built factory, acquiring additional specialist machinery and increasing the workforce by a further 27 staff. This major investment has been key to increasing our production capability and capacity and will help us to meet our strategic growth plans and boost sales in external markets, particularly in the aerospace and pharmaceutical sectors. The investment is part of a five-year project to increase our workforce, manufacturing capabilities, and grow international sales.